The Hyundai Kona Electric SUV will go on sale in Europe by mid-2018 and could possibly be make it to India sometime next year as Hyundai India's first electric offering. Having showcased the key bits in images earlier, Hyundai has revealed the new Kona Electric SUV at the Geneva Motor Show 2018. 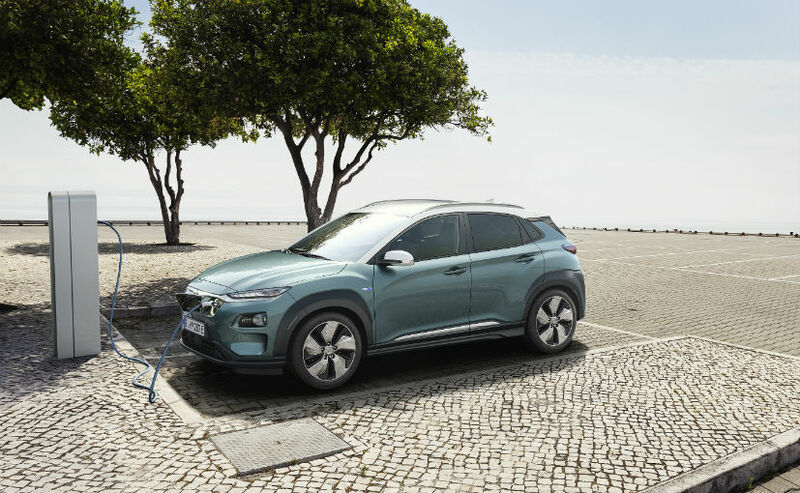 Based on the standard Kona that debuted last year, the Hyundai Kona Electric swaps the petrol engine for a battery powered one along with a few styling changes. The Kona Electric SUV is set to go on sale in Europe towards the summer of 2018 (mid-year) and if speculations are to be believed, the model is likely to make it to India as well, sometime in 2019. The Hyundai Kona Electric gets substantial exterior changes to convey its electric powertrain. The front grille is replaced by a sleeker, body coloured closed unit and incorporates a flap to cover the charging socket beside the Hyundai badge. The headlight design remains sharp like the conventional version. The Kona Electric also sits taller by 15 mm over the petrol version, while the front and rear bumpers have been revised to be aerodynamic. 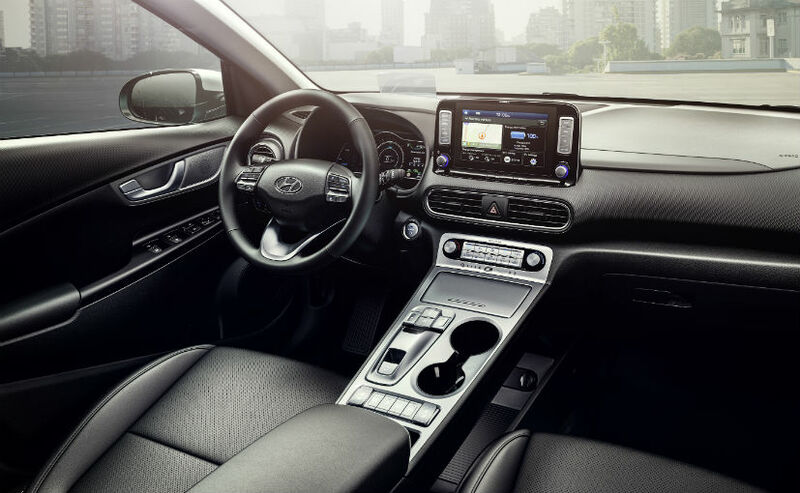 Inside, the Hyundai Kona Electric looks a lot like the conventional, but gets a digital dashboard, head-up display and 7-inch infotainment touchscreen although it can be upgraded to an 8-inch unit. The electric SUV also comes with ventilated front seats that are electrically adjustable. The infotainment system also supports Apple CarPlay and Android Auto smartphone integration. The five-seater SUVs offers a boot capacity of 373 litres. 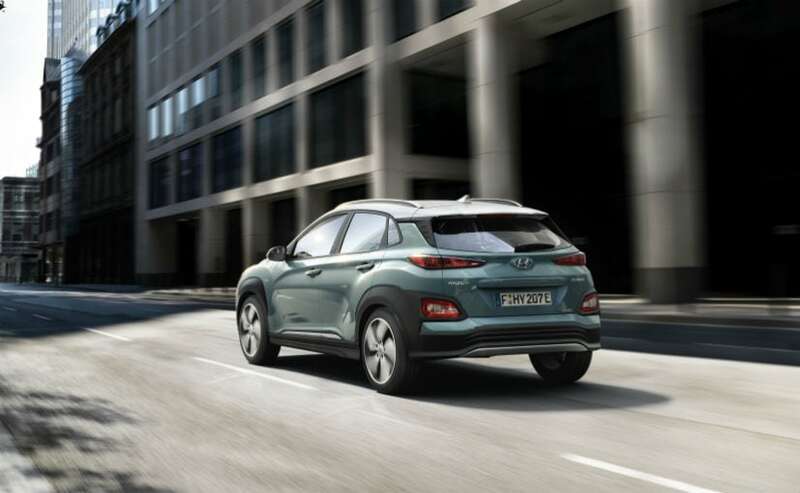 Having received five-stars in Euro NCAP crash test ratings, the Hyundai Kona Electric gets a host of driver assist systems including adaptive cruise control, lane centering system, rear cross-traffic alert and automatic emergency braking among others. Power on the Hyundai Kona Electric comes from a range of engine options. There is a 39.2 kWh battery that can travel up to 300 km in a single charge. This version uses a 99 kW electric motor with 134 bhp and 395 Nm of peak torque, can hit 0-100 kmph in 9.2 seconds. The top speed is rated at 155 kmph. India is likely to get this version. Internationally though, the Kona Electric will also be offered in the long-range 64 kWh version that can do about 470 kmph in a single charge. This unit will also get a larger 150 kW electric motor with 395 Nm on offer and will be able to sprint from 0-100 kmph in 7.6 seconds.